Owning a home is a dream that many cherish. Some buy it as part of their retirement plan, some use it as an investment, and others simply want a place that’s truly theirs. Irrespective of the purpose, a home gives you peace of mind. Owning a home fulfills one of the most basic human necessities – a shelter. It’s a place that you can escape to at the end of the day. A place that is warm, cozy, and peaceful. Finding that perfect home, however, is less peaceful. You have to deal with developers, agents, laws, regulations, and what not. Making this task less tedious is Sevi, Singapore’s very own property chatbot. 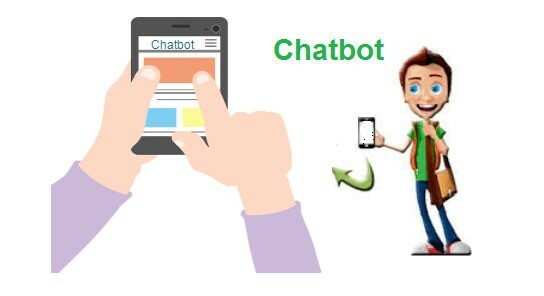 Chatbot development in Singapore has enabled several firms to come up with unique chatbots that serve niche markets. Sevi is one such chatbot developed by the real estate firm StreetSine. They claim it is the first chatbot for the real estate sector, which is probably true because there aren’t many (or any) chatbots like it. Sevi – an abbreviation of search, evaluation, valuation, and initiate transactions – is a property chatbot that provides users information on various property listings in Singapore. You can also compare properties, contact agents, check the availability of a property, see floor plans and plot ratios, and view market valuations and trends. It is available on multiple platforms such as Facebook Messenger, SRX.com.sg, SPH digital widgets, myProperty Tracker, SRX Property, and STProperty. The developers are planning to expand the bot’s functionality to WhatsApp and WeChat as well. Sevi uses Natural Language Processing to communicate clearly and interact seamlessly with you. Replies to queries are provided in simple English, ensuring you understand the recommendations being provided. You can access Sevi either via Facebook Messenger by following the link https://www.messenger.com/t/sevipropertychatbot or by visiting https://www.srx.com.sg. Type ‘Hi’ or ‘Hello’ to initiate the chat. Sevi, through a series of questions, will help you choose the property you are looking for. You also have a list of categories to choose from, making your selection easy. The categories are divided into four broad groups, with each having two to three options. For example, if you want general information on a particular property, you can choose ‘Property Information’ under the ‘Project Description’ category. It will then ask your preferred location and provide details accordingly. If you don’t want to click on any options, you can directly ask questions. This allows you to quickly find properties without having to see a broad range of listings. Sevi acts as an actual real estate agent providing useful information at every step of the conversation. Buyers will have no trouble making decisions after chatting with it. It keeps the conversation on track. If you ever start asking questions not related to the topic or deviate from what you are looking for, it always brings you back to your purpose. This saves your time from being wasted with unnecessary chatter. The availability of comprehensive options helps you narrow down choices and get the information you need quickly. While English speakers will find the chatbot quite helpful, native speakers cannot use it without some challenges. It is of little value to those who cannot speak English at all. Multi-language support is still in development, so it could be some time before everyone can use it successfully. Sevi cannot calculate ROIs, in-depth property analyses, and provide recommendations on what to buy and what to avoid. Sevi is a brilliant chatbot that does exactly what it is intended to do. Its only goal is to help you make better property choices and succeeds in doing so. In a niche market like real estate, where prices are always fluctuating, Sevi is an indispensable tool for investors and buyers alike.